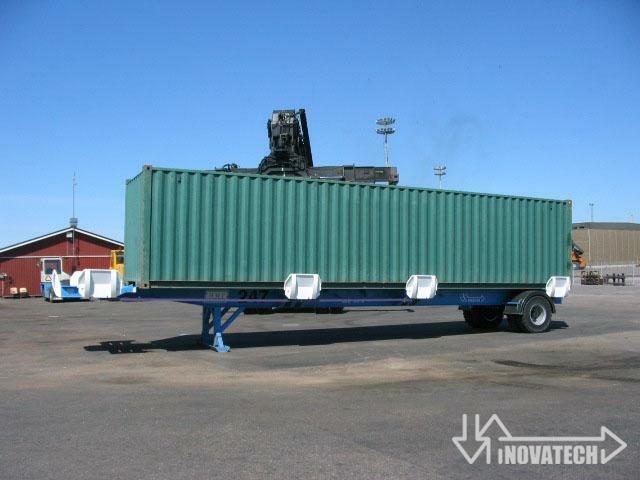 Terminal trailers are designed for transporting ISO containers in ports. The trailer has gravity container stops installed to prevent containers from moving during the transportation. On two or four wheels connected with tug masters pneumatic brake system. Parking brakes provided – brake system optional. 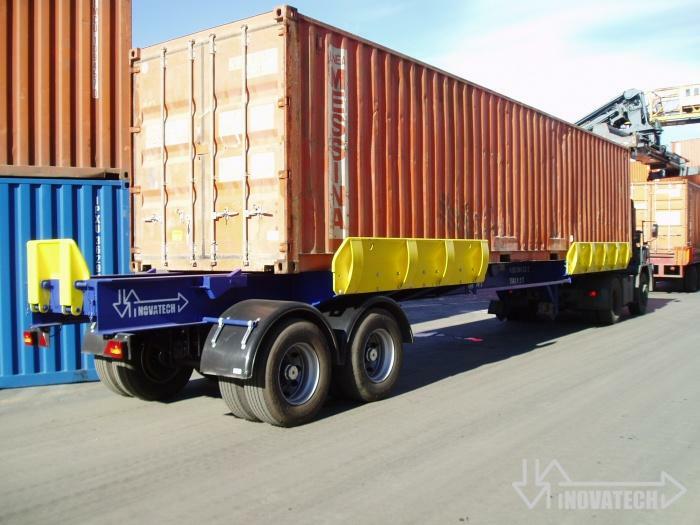 The Novatech terminal trailer is manufactured standard for transporting between 50 – 70 ton loads however these capacities can be adapted according to the actual requirements of the customer. 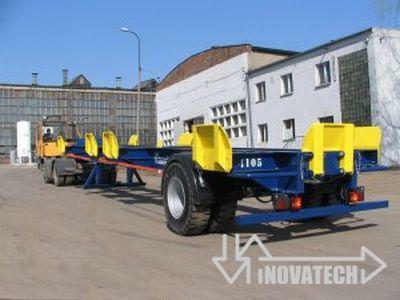 Novatech manufactures one ore two axle trailers depending on the customers needs and required capacity.